October 25th 1944. Albermarle V1755 took off from RAF Keevil near Trowbridge in Wiltshire towing a glider, a Waco CG-4A probably (named the ‘Hadrian’ by the British). Albermarles were generally regarded as awful things to fly or to be a passenger in. Designed as bombers, but too slow and with a limited range and low ceiling, the poor Albermarle was consigned to other duties, usually as a transport aircraft or, in this case, for towing gliders. Flying east in low cloud over the Vale of Pewsey, the pair had barely gone 20 miles when the pilot of the glider lost sight of the Albemarle, and began to overtake it. This meant the hemp rope yanked the tail of the Albemarle upwards, and the aircraft dived to the ground killing both crewmen. Fortunately for the glider crew, the rope snapped and the pilot was able to land safely at a nearby airfield. This site is by the Kennet and Avon Canal in Wiltshire. Albermarle bombers may not have been used for what they were designed for, but had successfully towed Hadrian gliders and the larger Airspeed Horsa gliders to silently drop into Normandy and at Arnhem earlier that year. 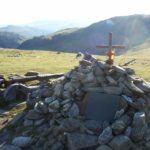 who lost their lives when Albermarle Bomber V1755 of No. 22 H.G.C.U. 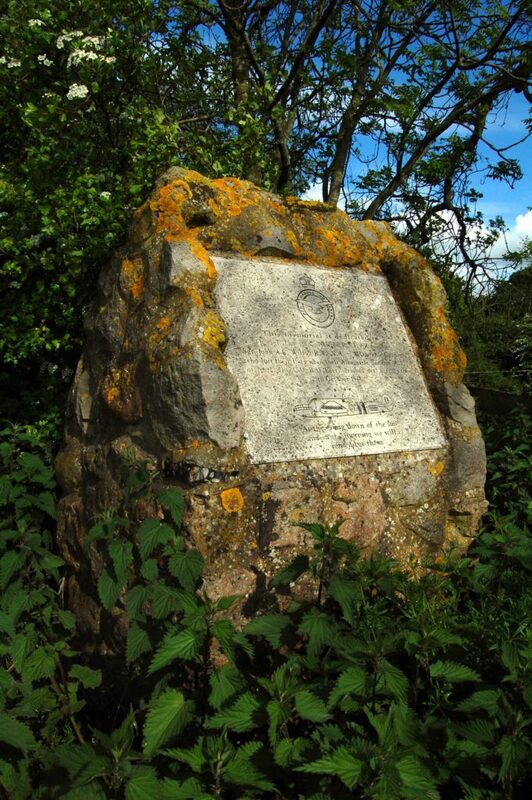 RAF Keevil crashed near here on the 25th October 1944. The site memorial was unveiled on the anniversary of the crash in 1997 by Flight Sergeant Newton’s best friend and Sergeant Wilson’s brother. There was a low and slow fly past by an RAF Hurcules, and an RAF bugler played the Last Post. 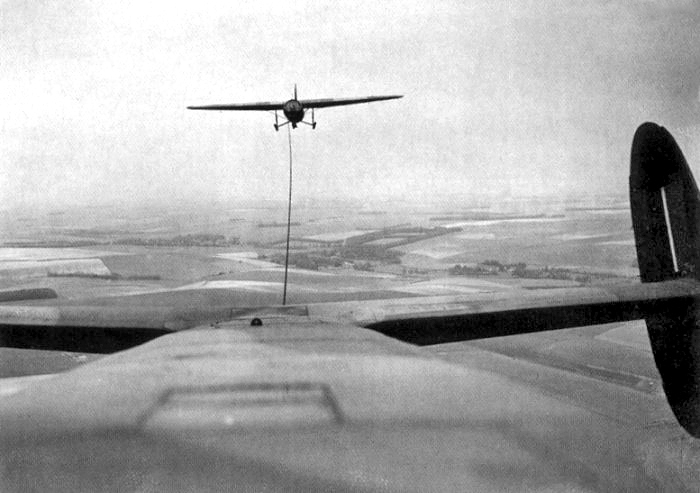 View from an Albermarle towing a glider (in this instance, an Airspeed Horsa). 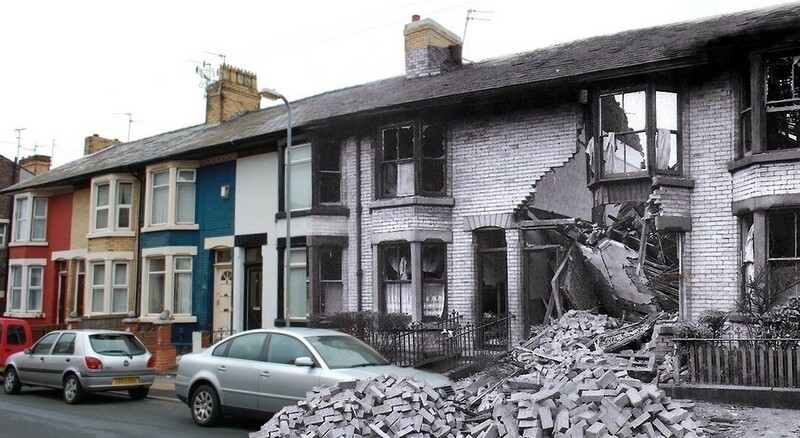 You can see how easily the accident could have happened. Great spot Ian , interesting stuff . Risky business towing those gliders ! They have a glider at YAM with a cut away section to see the jeep inside . A different reason for a crash than the usual bad weather and loss of bearings. Not something you would think of actually but it’s easy to see how it could happen. 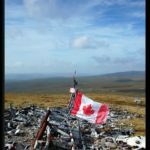 As a glider pilot I can tell you this type of accident still(very rarely) happens………….and is one of the things you are told about when training! I wondered if it still happens, thanks for that.